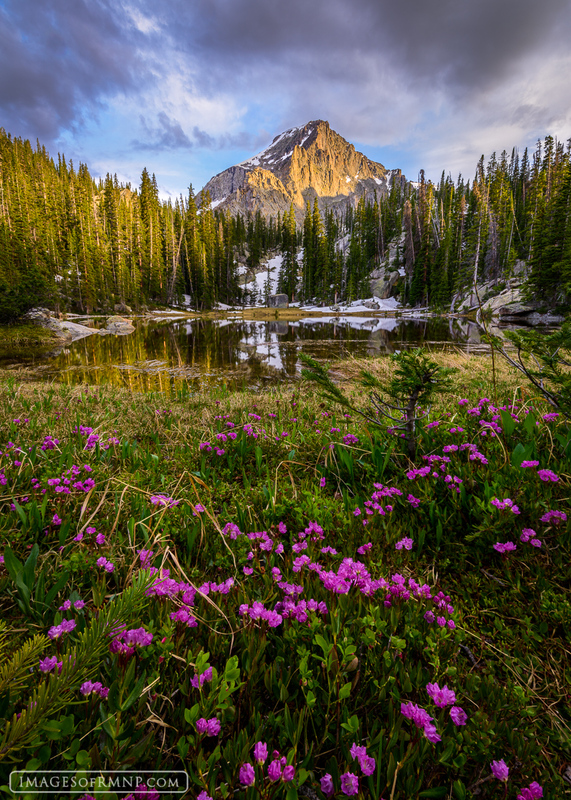 After a couple of days backpacking and searching for a photo that might communicate the wonder of early summer, I finally came across this small mountain tarn with a patch of vibrant pink bog laurel. When I saw it I knew I had found what I was looking for. Eight hours later the light and clouds briefly cooperated to create this glorious scene.